Alejandro is a spokenword/performance poet, educator, and avid distance runner from Colima, Mexico. Arriving in the United States as an undocumented immigrant in 1995 and working as a farm worker for over 10 years in Oregon, he now resides in Denver, CO, where he works with youth as a Restorative Justice Coordinator at a public high school and tries to laugh with his students as much as possible. 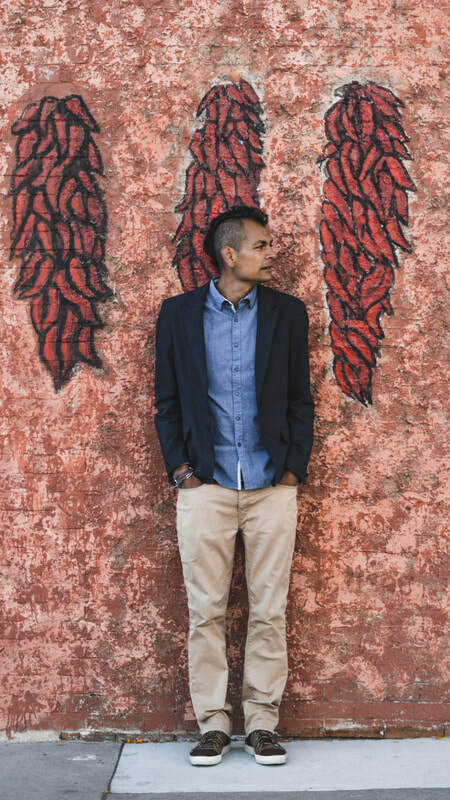 He is a two-time National Poetry Slam Semi-Finalist, two-time TEDx Speaker, and Emmy-nominated poet, whose work centers around cultural identity, immigrant narratives, masculinity, memory, and the intersections of them all. As an immigrant in the US, Alejandro learned very quickly how easily people can be ignored and go unheard and unnoticed. Though not always the easiest of things to do, he learned that he needed to use his voice to let the fire in his chest burn free instead of burning him. He is a firm believer that words can transform, heal, and take you to places never thought imaginable. He is a firm believer that we hold so much collective power to be agents of change in our communities. ​His performances are a mix of spokenword/performance poetry, story telling, honesty, humor, and raw-emotion. Through his performances and workshops he tries to inspire the audience to believe in their stories, in their being, and the power of THEIR words. In his performances he is trying his best to reclaim the voice the has been taken from his community; unpack the ugly done on to us, unpack the ugly we do, and celebrate the holy and beauty that we are.